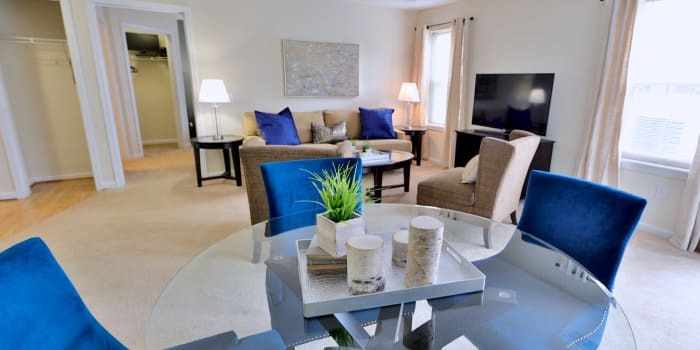 Bright natural light, smart features, and generous space combine to make The Apartments at Diamond Ridge your first choice for apartment living in Windsor Mill. Keep cool in the hot months with central air conditioning, and cuddle up in front of a warm glow in winter when you choose a floor plan with a gas fireplace. There’s room to live well with lofty 9’ceilings, large closets, and a fully equipped modern kitchen complete with pantry. 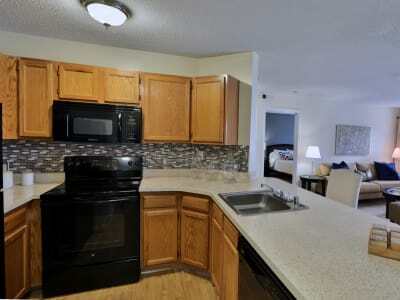 Schedule your personal tour of The Apartments at Diamond Ridge to see which spacious layout is right for you. Contact the team in Windsor Mill today to arrange your visit. Per the Morgan Properties standard for excellence and comfort, each floor plan at The Apartments at Diamond Ridge undergoes a rigorous 101-point inspection, ensuring that your new apartment is spotless, fully functional, and ready for you to move in. You have your choice of one bedroom layouts measuring 741 or 834 square feet, six two bedroom floor plans sized between 867 and 1,183 square feet, and a three bedroom option measuring 1,208 square feet. No matter which you select, you’re sure to be impressed by thoughtful features and a clean, contemporary design.